K-pop idol Yunho of TVXQ has become an icon of positive energy and can-do spirit, inspiring many of the nation’s frustrated young people. The veteran singer, who made his debut more than 15 years ago and has been performing ever since, recently appeared on various TV programs and shared his self-empowerment tips. Yunho’s morning routine, which he revealed on MBC’s “I Live Alone” in March, starts with dance practice. As soon as he gets out of bed, he turns on the TV, plays his concert videos and goes into his powerfully choreographed dance moves. “You may think this is too much, but I take pride in my performance,” Yunho said. On the KBS talk show “Happy Together,” the singer recalled an incident when his pants split as he was performing on stage. Yunho said he knew what had happened but couldn’t stop dancing because he didn’t want to let the audience down. The answer was “daechung,” which means doing something in a cursory manner without putting in your full effort. Korean social media pages were soon plastered with memes featuring Yunho’s pun, and countless parodies appeared online. 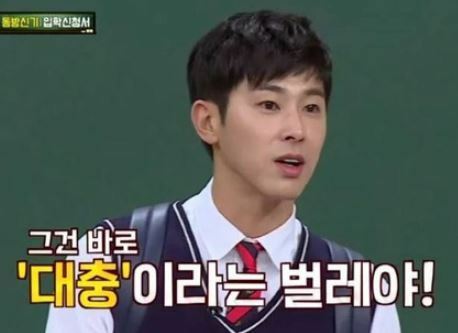 The catchy saying “I’m U-Know Yunho,” is trending, providing motivation to exhausted and frustrated young people all over the country. “I was extremely exhausted today, so as I worked I kept thinking to myself, ‘I’m U-know Yunho, who never gets tired,’” one Twitter user joked. The tweet gained explosive popularity and was retweeted more than 28,000 times. On the day the tweet first appeared, keywords such as “U-know Yunho” and “I’m U-know Yunho” made it to Twitter’s trending bar as well. 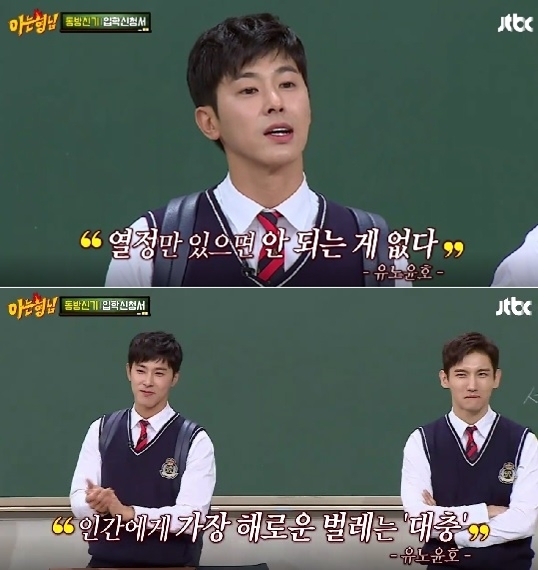 “When you feel (that life is) tiresome and boring, tell yourself ‘I’m U-know Yunho, full of passion, these tasks are a breeze.’ Then you can really finish it as passionate energy bursts to the maximum level. From now on, let’s call this the ‘Jeong Yunho Effect,’” another Twitter user wrote, garnering over 3,000 retweets.